The Chauvet Freedom Par Tri-6 is powerful, bright, and truly 100% wireless with a rechargeable battery and a built-in D-Fi™ transceiver. Freedom™ Par Tri-6 has 18 watts of RGB color mixing and can be operated with the control panel, the included CHAUVET® DJ IRC-6 remote, or from any mobile phone or tablet running the FlareCON™ mobile app. Freedom™ Par Tri-6 fits perfectly inside TRUSST® and all other 12” box truss, and travels safely and stylishly in the CHAUVET® DJ CHS-FR4 VIP Gear Bag. 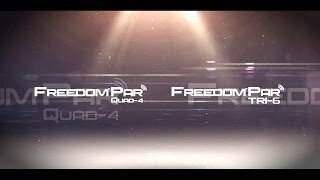 Considering purchasing the Chauvet Freedom Par Tri-6? Have questions? Ask people who've recently bought one. 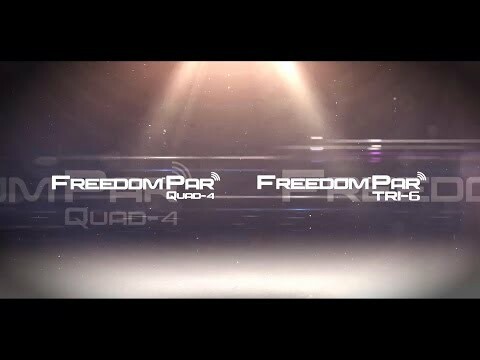 Do you own the Chauvet Freedom Par Tri-6? Why not write a review based on your experience with it. I was able to try this uplighter at Plasa 2014 and it was great. The brightness is really good and the clarity of the colours are great. The only flaw is that this fixture can only do 1 thing which makes overpriced for what it is. But it is still and good fixture, just a bit of a glorified light against a wall!!!!! Seen a video for Chauvet Freedom Par Tri-6 online or have you own video? Check out Chauvet Freedom Par Tri-6 on DJkit.com!